The Chrysler Building officially opened on May 27, 1930. Tudor City's advertising copywriters saw an opportunity, and seized it. Of course, Chrysler Building tenants didn't need much advertising to realize how nearby Tudor City was. The view of the complex out the window made it pretty clear. 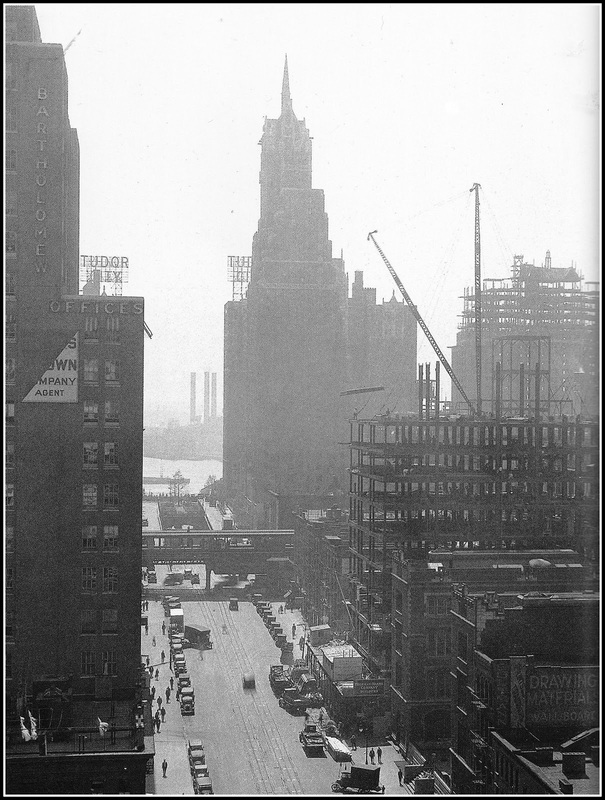 Looking east from the Chrysler Building, 1929.